Adjustable Tilt ADA Desk 40" x 24"
This ADA-compliant tilt desk creates an inclusive school or work environment for adults or children in wheelchairs. This convenient desk has a storage box underneath that can be used to hold office supplies. It is height adjustable and has a convenient oversized knob that raises or lowers the surface in one-inch increments. It can also be positioned at a tilt for easier accessibility. 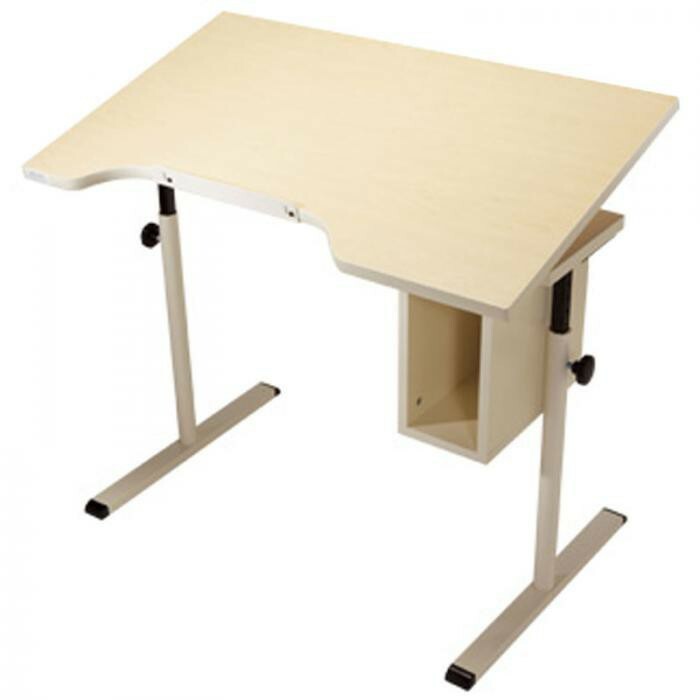 The desk comes with four adjustable base levelers and an adjustable pencil stop. The surface of the desk has laminate finish and a vinyl edge. It will be a convenient addition to any classroom, work or home office setting.